Universal Pictures has released first trailer for director Robert Schwentke’s (Red) adaptation of the Dark Horse comic R.I.P.D. 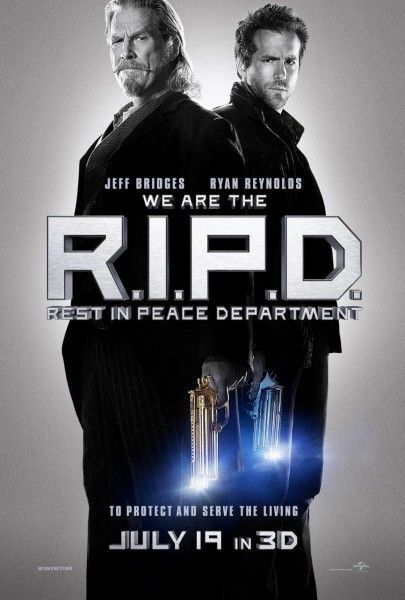 The supernatural actioner stars Ryan Reynolds as a newly deceased cop who joins a group of undead officers in the “Rest In Peace Department” to help combat a rising force of nefarious corpses. 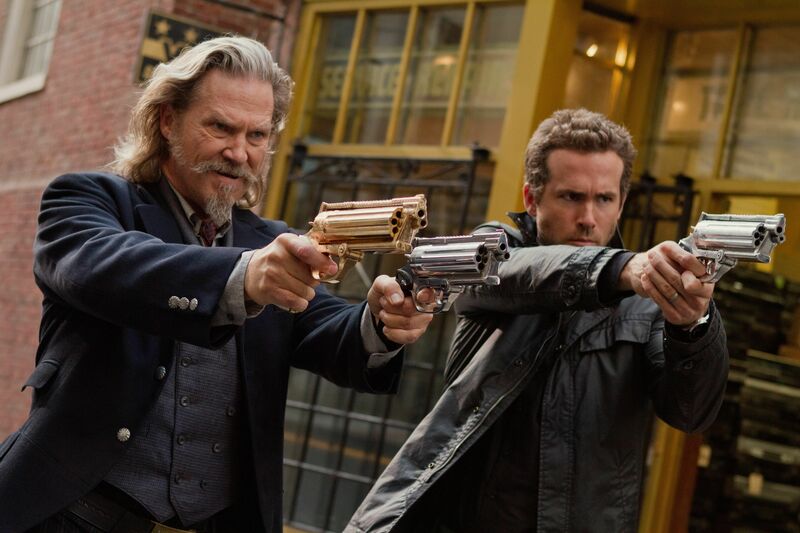 The trailer has a very strong Men in Black vibe, as Reynolds’ “new to death” rookie is introduced to this new supernatural world by his partner, a colorful veteran R.I.P.D. member played by Jeff Bridges. There’s a nice mix of humor and action on display in this debut trailer, and the chemistry between Bridges and Reynolds—which one imagines is the make or break aspect of the film—looks quite promising. Hit the jump to watch the trailer and see the new images. The film also stars Kevin Bacon, Mary Louise-Parker, Stephanie Szostak, Marissa Miller, and James Hong. R.I.P.D. opens in 3D on July 19th in the U.S. and on August 30th in the U.K.